Were you surprised to see that 70% of Americans are on prescription drugs? A majority of them are anti-depressants which have dangerous and sometimes deadly results. Anyone who has ever visited SSRIstories.com knows what I’m talking about. Well-meaning doctors don’t often look beyond physical symptoms or even have time to inquire about your life or mindset. Anti-depressants, promoted by pharma reps, are sent home at the first sign of trouble – unhappiness. But aren’t there many other ways to address mood issues? Actually yes, and this is only a sampling. It doesn’t go into specific supplements, obvious benefits of a wholesome diet, or the hundreds of different works on spirituality, happiness, positivity, emotions, or the mind which may or may not help. This is to offer some modalities for quick relief. The following modalities are dear to me – a list that narrows the scope a bit to techniques. I don’t put all my eggs in any one, but I especially love the first five for addressing multiple issues. Look at them with fun and curiosity – take what you like a leave the rest. This is to show people that there are other options for when you’re feeling low. Seeing a Naturopath – their first goal is to alleviate pain and stress. They do (or should) truly follow the Hippocratic Oath: Thou shalt do no harm. They usually tackle the core problem that’s causing all the other symptoms allowing the body to heal itself – including moods. This tops the list because once the “figurehead” is addressed, the other issues take care of themselves. They use multiple modalities that combine body, mind, and spirit help. They can guide you on which foods are best for your body type. The out-of-pocket expense is a fraction of where I’d be now financially (emotionally, and physically) if I was stuck in the Sick-Care System or randomly taking supplements on my own. Meditation – a tool that anyone can use at no cost. The World’s Happiest Man as recorded on brain scans attributes his joy to daily meditation. You don’t have to be a guru on a mountain top to do it. Breath is a big part of it. But it does…So. Much. More! Prayer could definitely go in this section. Emotional Freedom Technique – gets profound results by tapping meridian points and removing negative beliefs and poor quality sub-conscious self-talk. Learn more. Bach Flower Remedies – my absolute favorite approach. This modality, similar to homeopathy, lifts your energy, emotions and consciousness to greater heights and can catapult a person through years they would have spent talking in therapy by using energy versus struggle with the mind. If you’ve seen the Rescue Remedy in stores, you were looking at a combo of five flower remedies that instantly alleviate stress, upset, and trauma. Even if you’re just rehashing troublesome thoughts, flower remedies help! Naturopaths often use them and this approach can be used in conjunction with therapy or any methods listed here. Any type of light movement – walking (now used to treat depression), Tai Chi, yoga, swimming, trampoline, dance or anything you love. I can’t say enough about Nia Yoga Dance and Tai Chi especially for bringing stagnant beliefs and angry-sad feelings to the surface and getting them out. Very balancing in more ways than one. Grounding and Forest Bathing – Basically reconnecting with the earth’s healing magnetic force by going barefoot on earthy surface and consciously spending time in a forest or other nature scene. Some people enjoy gems. I thought it was just new-agey stuff, but I was wrong. They really do have a higher vibration – oh and they usually cost under a dollar! Go to a gem show and feel the room there. Gardening is another mood elevator for multiple reasons – microbes in dirt, freeing the mind, productive hobby with edible results, and grounding. The Mood Cure – Holy hormones, Batman! Didn’t realize so much depended on them. You mean negative thoughts can derive from off-kilter hormones and neuro-transmitters? Wow… This thoroughly addresses brain hormones that alleviate stress, anxiety, depression, addiction, suicidal thoughts and maps out solutions and supplements. They work! You’ll come across well known supplements like 5-htp and GABA here. But again, seeing a Naturopath might preclude this step. More info. Homeopathic combos – like King Bio’s Good Mood Enhancer. Gaps diet – specific cleansing diet that connects the gut to brain and psychological health. Catered to help autism, ADHD, Alzheimer’s, Leaky Gut Syndrome, anxiety and more. Not for everyone’s food beliefs or every body type, but people have reported great results. More info. 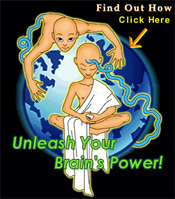 Various kinds of energy/meridian/chakra and mind/body help – Qi Gong, psychokinesiology, acupuncture/acupressure, Reiki. Energy congestion can manifest in blocks of the mind, body, and spirit. We all deserve to have and keep our life force – every culture has a name for that. Neuro-linguistic programming (NLP) – taps into subconscious sabotaging self talk and rewires it. Eye Movement Desensitization and Reprocessing (EMDR) – a technique that strips the emotional intensity of past trauma. Highly effective at helping someone “move on” so that thoughts back to troublesome occurrences no longer bring up an emotionally charged stress response which can negatively affect physical health. More info. Essential oils – helpful, complex, multiple, multiple uses. For instance, using these in homemade cleaning products rids your home of chemicals but also induces euphoria. We have a double-winner here! Cedarwood oil is just one example of a mood boosting oil as it works on the limbic system. Many EOs have antibacterial, anti-viral, and anti-fungal properties. They do not just address the physical part of your body. There are more approaches. You can do research and test what truly resonates with you. Do you see how many of these can be combined and do not cost anything once they are learned? Aside from a couple therapies listed, they really don’t cost much. Not even in addition to more clean water and whole, nutritionally dense foods. Do you see how none of them cause side effects (which require more drugs)? They cannot be patented either – imagine that! Picture the life you can kick start by elevating your moods and consciousness. Tell us what you enjoy and what works for you. NextVideo: You Call That A Tomato?